The Banff Centre hosted a panel on diversity in the outdoors this weekend featuring the CEO and ambassadors of Mountain Equipment Co-op. Many lovers of the outdoors say it's about time the outdoor gear industry starts representing people of colour. 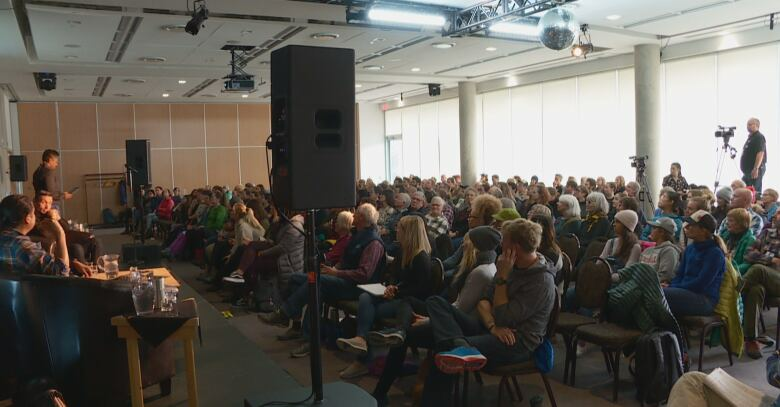 The Banff Centre hosted a panel on diversity in the outdoors this weekend featuring the CEO and ambassadors of Mountain Equipment Co-op (MEC). The company made headlines last month after David Labistour, MEC's CEO, issued a public apology in an open letter for using predominantly white models in its advertising, and promised to be more representative of the "diverse community that already exists in the outdoors." Panelist Judith Kasiama, an avid hiker and snowshoer who lives in Vancouver, was instrumental in prompting the company's change. She recognized a lack of diversity in outdoor gear advertising and challenged various companies in an Instagram post to do better. Kasiama told the crowd of about 400 people that hiking is a deeply personal experience for her. She fled war in the Congo and she finds solace in nature. "I know what war is like," she said. "And being in the mountains … has allowed me to really reach that path of healing." Kasiama is now a MEC Outdoor Nation ambassador and she's happy the company is working to represent more people like herself. "I think it's important to recognize areas where we've failed and then try to do better," she said. 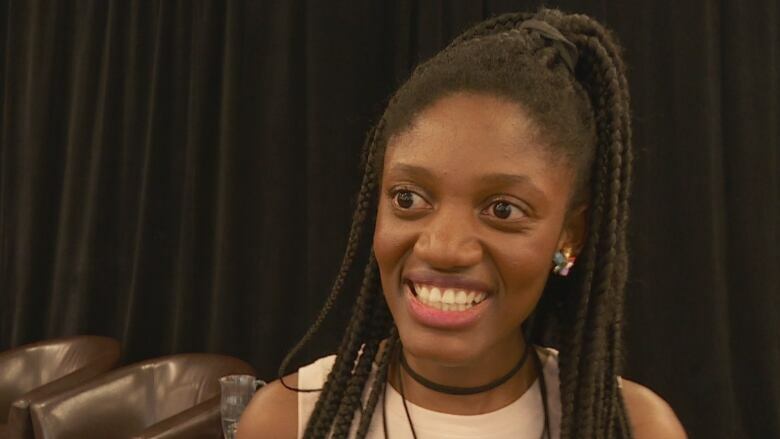 Canmore resident Rebeccah Kellman was at the panel on Sunday and said she's glad to see more conversations around including people of colour in advertising. "As a woman of colour living in Canmore, I can relate. I look around, I'm the only black person in the climbing gym. I go climbing outside, I'm the only black person at the climbing crag," she said. "So it's important to have these conversations and it's nice that MEC has acknowledged that there's a problem and I can maybe see someone like me in their advertising." Kellman and many other at the event applaud the outdoor company for confronting its diversity problem, saying it's better late than never.